I do like it where I live. It's an area with an immense community spirit and lots of creative energy. 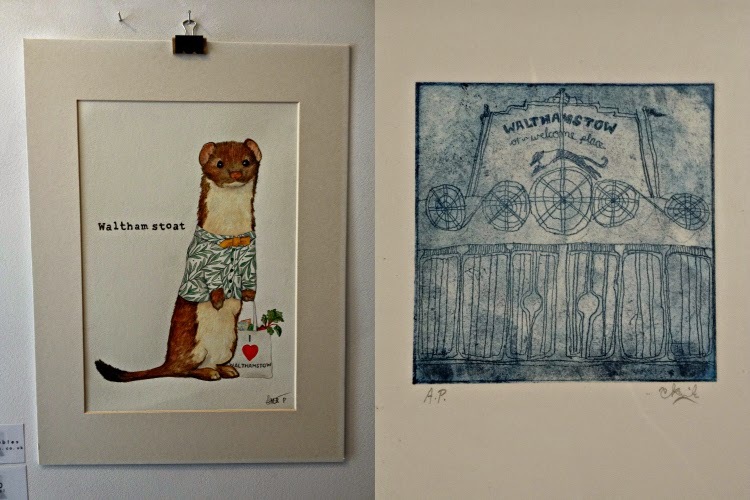 Once a summer, the two amalgamate and we get a couple of weeks of open artists' houses, studios, galleries, events, and happenings called the E17 Art Trail. Armed with the official guide, a tightly planned schedule and comfy shoes, Marco and I tried to cram in as much art as we could this year. But even though we spent one solid day during each weekend being amazed and inspired, I still feel like we only experienced a fraction of what was being shown. All the artists on the Trail are local, but not all the studios are usually open to the public. My favourite venues were the ones where you were invited to enter a private home, you never knew what to expect once the artist opened their door to you. 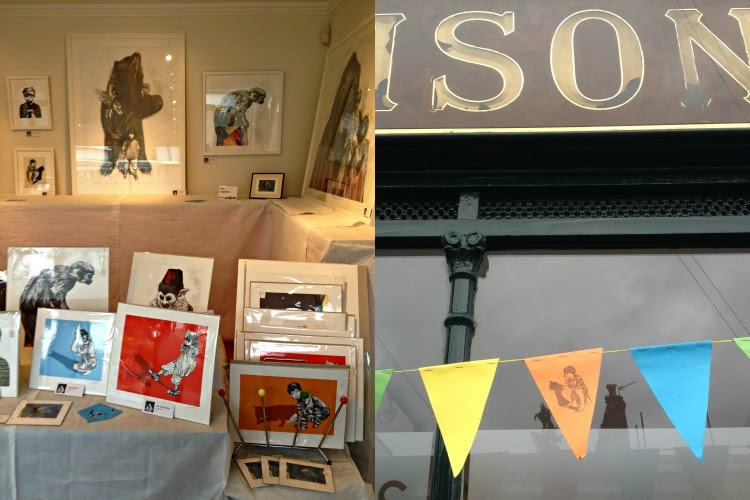 Other times, the art was to be found in shops, cafés or pubs that I hadn't been to before, or on streets that I'd never walked down, and following the map to all the spots we had marked felt like a treasure hunt at times. I took some pictures of what we saw (hastily, with my phone), and it was a good way to keep track of my favourite exhibitions. Where I can, I will link to the artist, so you can look them up if you like their work. 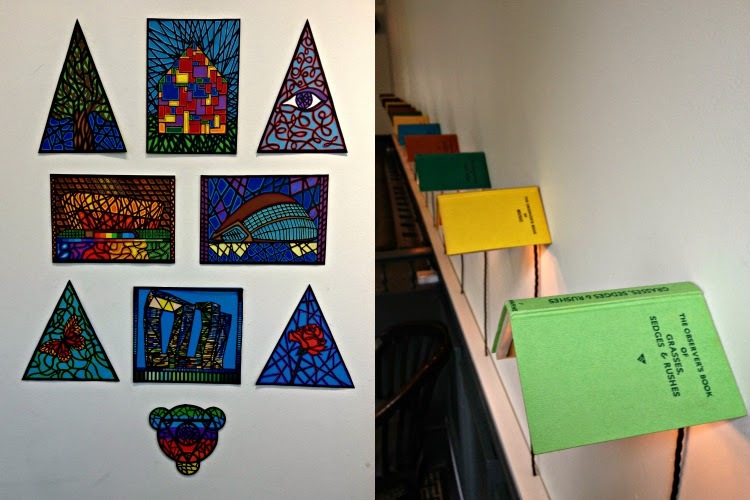 Book-themed Two For Joy papercuts at the library. 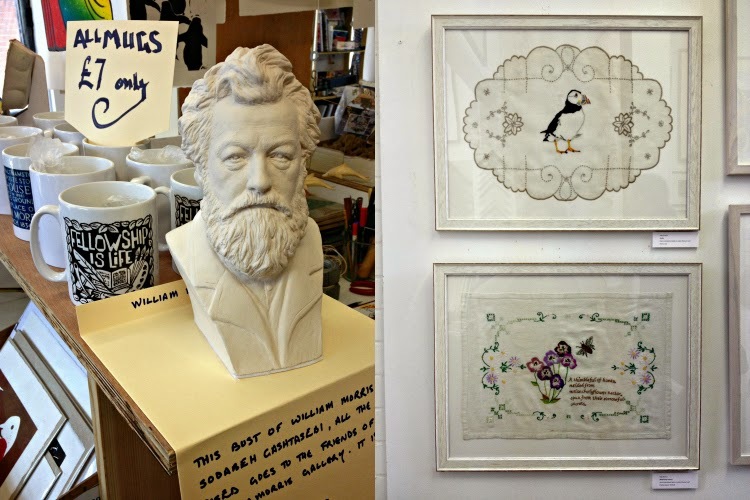 Martin Adams' mugs and the mug of local patron saint William Morris at Mitre Studios. 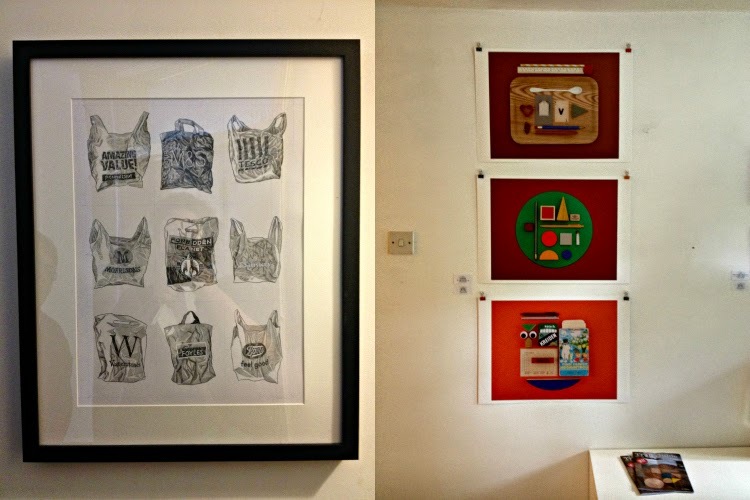 Embroidery at E17 Art House. One of my favourite exhibitions was The Ex Warner Project, a catalogue of images and memories from people living in the historic housing estate that makes up my area. 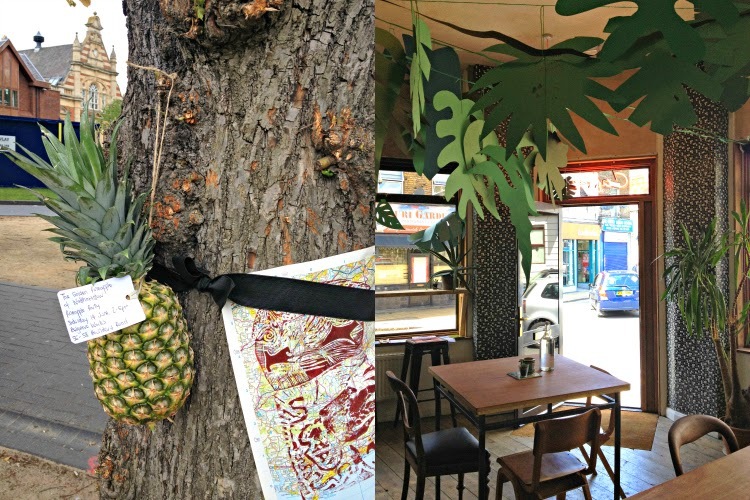 Art Grows On Trees and trees grow in a café. The pineapple, you ask? It is a bit of a local obsession. 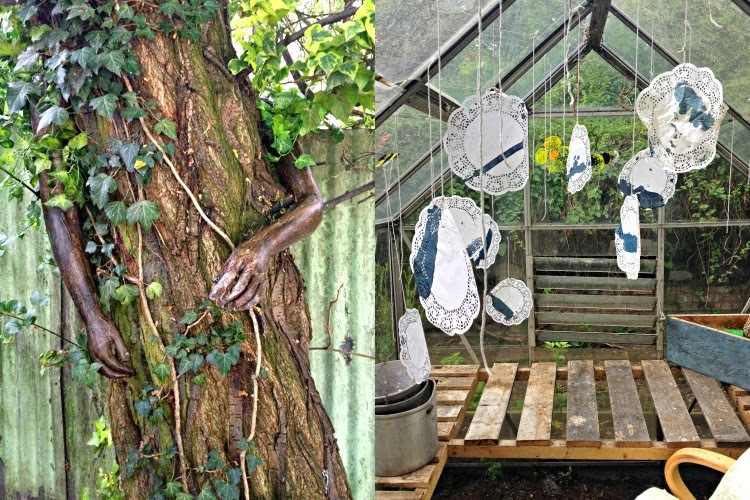 We found Amanda Doidge's Experimental Ceramics in a shed at the back of a garden. The artist took the time to explain all the intricate meanings of her delicate ceramic pieces to us, talking about butterflies, psychology and human nature. 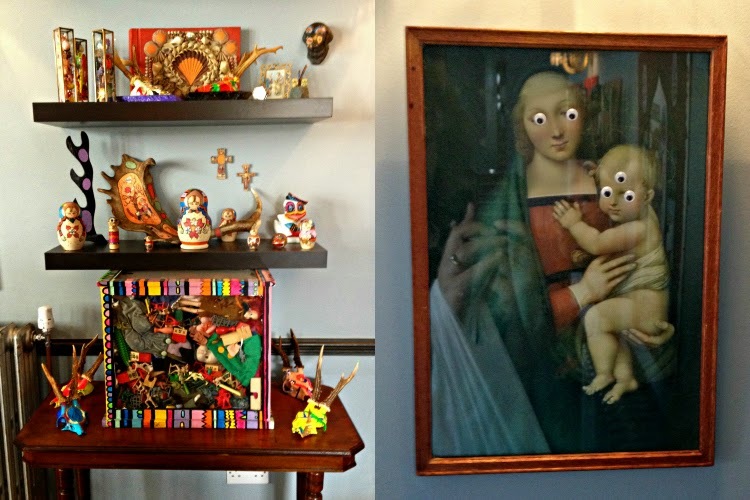 I loved the new folk art exhibition by the Pack of Wolves collective. 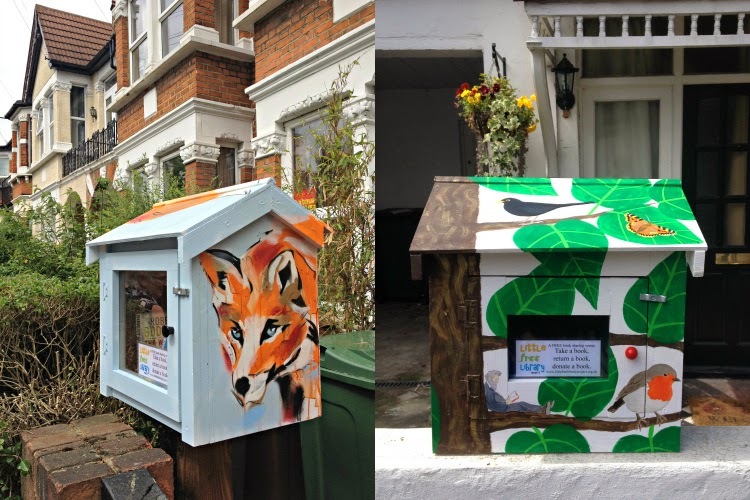 At the beginning of the Art Trail, Walthamstow got its own set of Little Free Libraries, each designed by a different artist. I now have one just around the corner from where I live! 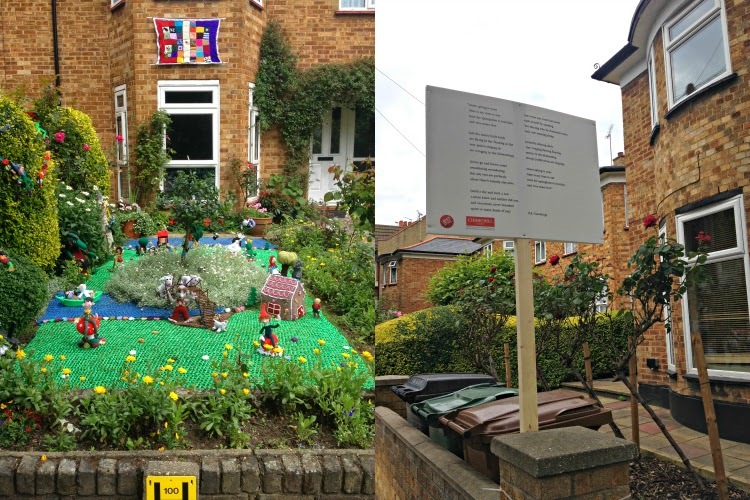 A knitted front yard and a quarter full of poetry on estate agent boards. Some local pride from Mister Peebles and Carole Kenrick. 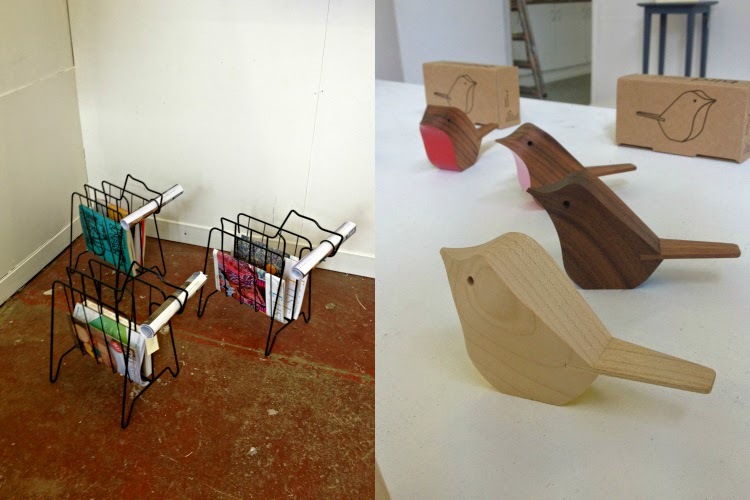 Everyday objects made special at the Show Something Else exhibition. We had a mini-movie experience complete with popcorn and a complimentary DVD of short films at a local filmaker's house. These drawings and paintings by Carl Harris are a recurring fixture on the Trail. I've not been able to buy an original (oh, do I want to! ), but I do own a framed Catboy poster. Mural by Lucy Shaw in a pub garden. Another thing I would have acquired right there and then if money hadn't been an object: a plate designed by Raewyn Harrison. 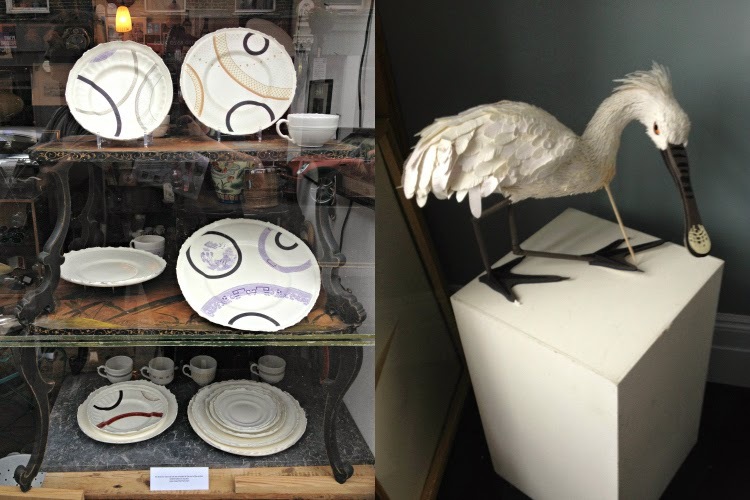 She used traditional patterns and moulds to make modern pieces of ceramics with raw edges. The hornbill on the right is made from paper, each feather was a work of art. It was part of the Encyclopedic Taxonomy museum display by Daniel Vincent. 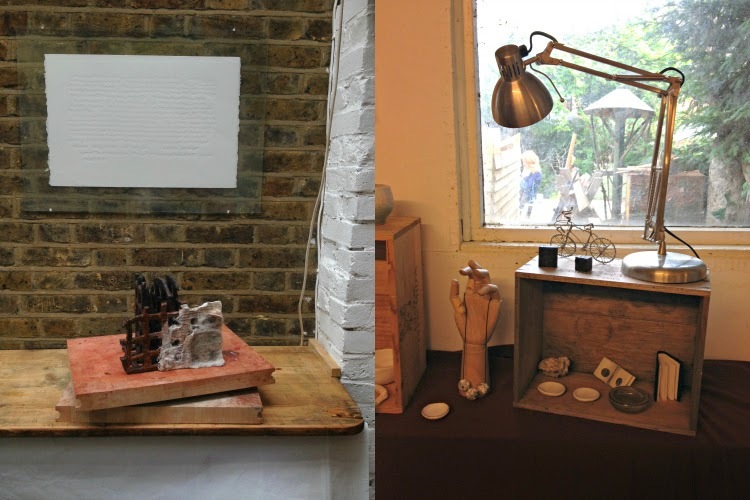 Paths To Palimpsest by Stevey Scullion and Fran Reeve's studio at The Makers Yard. This web was suspended from the trees at The Makers Yard. This place is a small artist enclave hidden behind houses and only accessible through a garage door. There were lots of nooks and crannies to explore, it feels like a little creative paradise. Wooden tiles by Danielle Michalitsianos. A tree re-imagined by Julie Caves, and an interactive greenhouse installation, Waves by Nicolette Murin. The paper doilies have been treated with iron salts that may reveal captures of touch and movement when washed off. 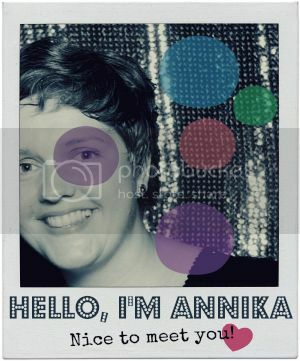 Visitors were asked to hang them up during the open day. Broken Homes by H Locke. Tiny drawings inside egg shells. This is Saskia Huning's beautiful home. She is a decorator, specializing in mural restoring and preservation. 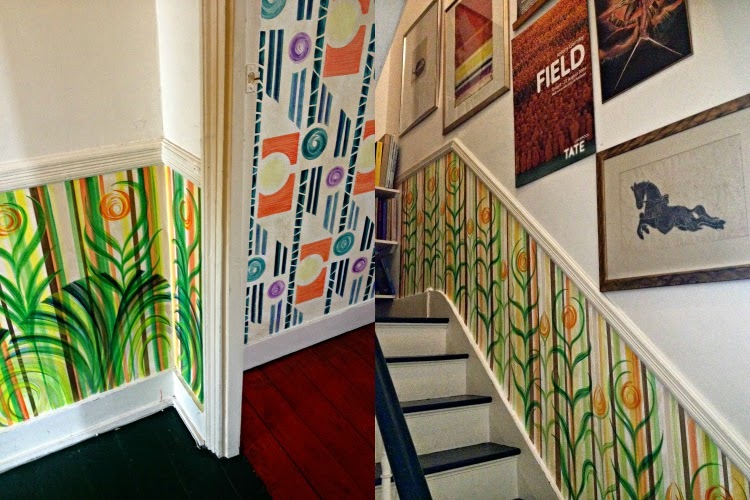 She has used the walls in her house as canvases for her art, trying out and recreating designs she has worked on for customers. 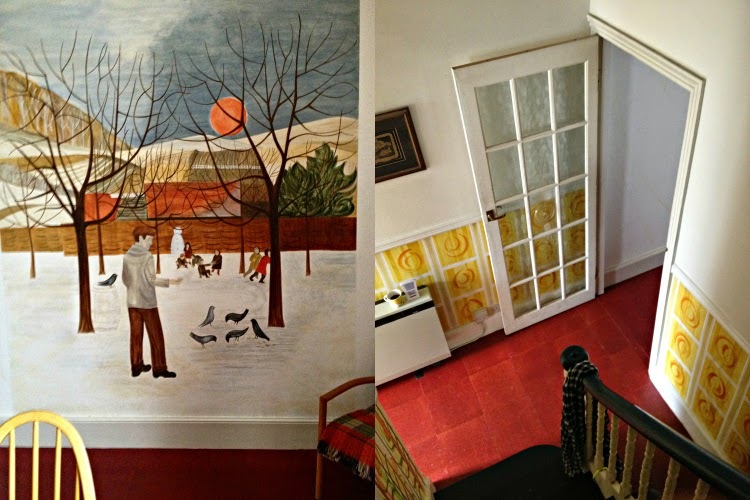 The mural on the left is one that Saskia recreated in a school. The original had been permanetly lost after being painted over. We stopped to have lunch at a café that last Sunday of the Trail, and discovered that they were also hosting a small exhibition. Funky and useful home accessories at Belgrave Furniture Works. 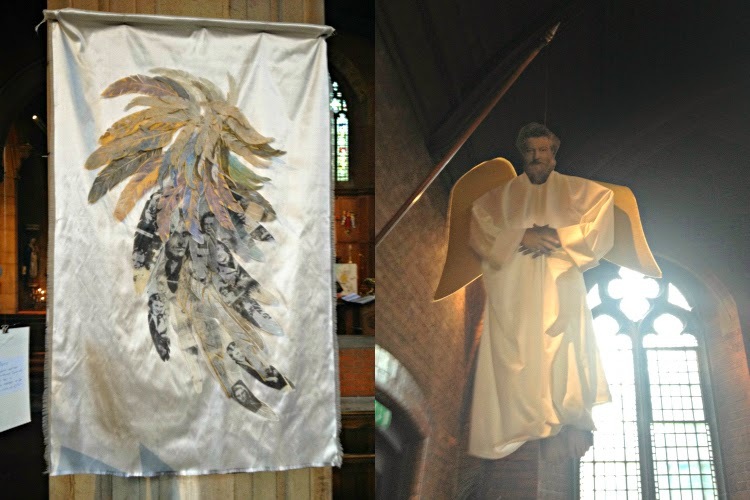 A church fittingly hosted an exhibition around angels. Here is an angel wing by Kirsten Schmidt and William Morris, angelified by Emma Scutt. Wow what a great event that sounds like. So much great art. Must have been really fun!